When business planning for 2018, did you invest resources in updating your organization’s market analysis? Prioritizing this work regularly, even annually, can pay off in market share, revenue, and profitability. 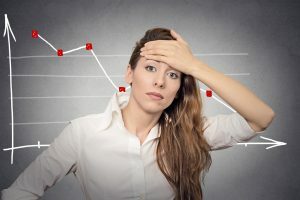 Often, when an owner launches a business or an executive joins a company, she will spend a great deal of time analyzing the market, customers, and prospects. But soon the daily demands of the business kick in and a full yearly analysis often goes by the wayside. “Analysis” may dwindle to managers making a projection based on a quick review of sales data. What do you risk by not conducting a regular full market analysis? It always pays to start by taking a zero-based look at your market. First, revisit your definition of your market. Often, people define this too narrowly. Your market includes anyone who might buy from you for any reason. It is your customers, competitors’ customers, and those who may have a future need. It should also include people who do not make the purchase but who influence the decision, such as children helping aging parents select an assisted living community or physicians who advise patients on the best weight loss programs. Thinking more broadly will stimulate fresh ideas. Pew Research Center, http://www.pewresearch.org, provides free research reports on demographics, issues, etc. Other relevant information can be obtained free or affordably from organizations you belong to such as the Chamber of Commerce or industry associations, or from companies that specialize in industry/consumer reports, such as IBIS World or Mintel. These resources can help you quantify market revenue potential, identify competition, and understand overall trends. For example, if you own a recruiting firm, you may want to keep track of outsourcing rates, graduation rates for key college majors, unemployment rates in your industries, and more to understand your best opportunities for placements. If you are a home developer, you can follow trends in the average age at marriage, birth rates, technology, and interior design to adjust your home models for future demand. The gold standard for the most reliable market information is to conduct a custom primary research study in your specific markets. This type of research can provide you with up-to-date data on buyer needs and preferences, brand perceptions, purchasing plans, role in decisions, product/service concerns, and more. What should you be asking or looking for? Find out what frustrates, annoys, and worries your customers and prospects. How much are those things costing them? How does your product or service fit into their life or their work? What problems or challenges do you help them solve? Are there needs not being met by anything in the market? You can also focus the qualitative research based on what you learned in your analysis of in-house data. For example, if you have a large customer base but they are not purchasing often, explore what will motivate repeat purchases. If you are doing fine with your core customer group, you could identify an underserved segment in the overall market to mine in the next year. If you use buyer personas extensively in your marketing, you can gather qualitative data based on those. How are personas different from segments? Segments are defined by demographics or purchase behaviors. Personas are a type of person based on lifestyle, life stage, roles, and psychological aspects. One of the main purposes for executing a market analysis is to be able to retool business strategy and plan resources based on a prediction of the future. The best predictor of future behavior, of course, is past behavior. However, change is also constant. 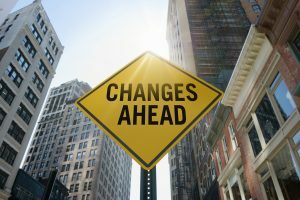 So, after you have examined statistics and trends for purchasing, subscribing, and other behaviors, consider what may be changing in the next few years. Will lower corporate taxes open up funds for capital purchases? Will independent baby boomers enter senior communities at the same levels as prior generations? Will rising interest rates affect how much millennials can/want to save? 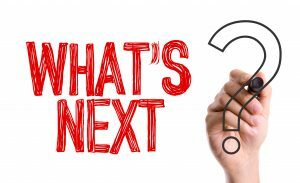 Some of the objective research and qualitative work you engaged in should reveal or point to these likely changes and trends. Unless you operate in a very stable market, you should keep the plan that emerges from your market analysis to no more than three years. If possible, reviewing and updating the analysis every year will always pay off. Make sure you put your plan to work by sharing both the top-line findings of your analysis and the emerging plan with all the people who make your organization a success. For more information on how research can guide your organization’s growth, contact Linda Kuster at lkuster@vernonresearch.com or use our contact form. This entry was posted in Applying Market Research, Blog, Growth Strategies. Bookmark the permalink.